Nit-Occlud® PDA-R has been developed for the transcatheter occlusion of Persistent Ductus Arteriosus (PDA), a congenital heart defect. The unique design – the implant is knitted from a single nitinol wire which enables the safe and atraumatic closure of medium to large PDAs. 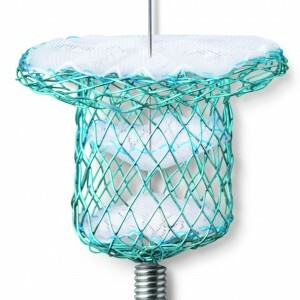 Patented single-wire design – The implant is knitted from a single nitinol wire. This gives the distal disc a very low profile with no connecting hubs. Re-inforced retention disc – The re-inforced retention disc facilitates the implantation. The polyester fabric facing the aorta promotes accelerated endothelialisation. Membranes for immediate closure – 2–4 membranes (depending on the size) are sewn into the implant and one membrane is sewn at the aortic face to accelerate closure and to promote endothelialisation. Flexible adaptive design – Optimal compromise between flexibility and strength, to adapt to various ductus anatomies and to close even larger PDAs. Safe and simple device release – The unique release mechanism is easy to use, while enabling a soft and tension free release.